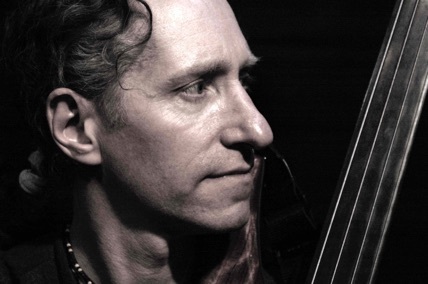 Hailed by many as the world’s leading solo bassist, Michael Manring has been pushing back the boundaries of what’s possible on the bass guitar for over three decades. While his technical skill and innovations always make an impression, it is his ability to communicate on a profound emotional level that most touches listeners. As editor Tom Darter wrote in Keyboard magazine after seeing one of Michael's solo concerts, Forget his astounding technique and musicality; forget his absolute command of his instruments; forget how seamlessly the musical ideas and the performance of them were wedded together...The enlightenment came most from feeling (seeing, hearing) the joy Michael felt to be playing...his brand of transcendental chops and musical understanding...was all in the service of the final outcome, the joy of making music. Building on the conceptions of his teacher, the late bass legend Jaco Pastorius, Michael has developed a new approach to the instrument that includes unorthodox tunings, techniques and methodologies. He has honed his skills on hundreds of recordings as a session musician and thousands of concerts throughout the world in venues including Carnegie Hall in NY, Yamaha Hall in Tokyo and Davies Symphony Hall in San Francisco. Michael has worked with a surprisingly diverse collection of musicians from New Age keyboardist Suzanne Ciani to avant-improv guitar innovator Henry Kaiser to celebrated folk troubadour John Gorka to experimental post-metal rockers Tim Alexander (Primus) and Alex Skolnick (Testament) to electro-pop pioneer Thomas Dolby. His long-term collaboration and close friendship with the late acoustic guitar genius Michael Hedges led to a lengthy stint as house bassist for Windham Hill Records; a label for whom he also worked as a solo artist, releasing four recordings under his own name: Unusual Weather (1986), Toward the Center of the Night (1989), Drastic Measures (1991) and Thonk (1994). These, along with his 1998 release The Book of Flame on the Alchemy record label earned him an international reputation as a master of the fretless bass without rival. (Guitar Club Magazine, Italy). He has garnered two gold records, Grammy and Bammie nominations, a Berklee School of Music Distinguished Alumni Award, two Just Plain Folks Awards and numerous Bass Player Magazine Reader's Poll awards including 1994 Bassist of the Year. He was also the subject of a PBS TV documentary, “The Artist's Profile: Michael Manring” and a Youtube video of him playing his iconic solo piece “Selene” has well over a million views. In his solo concerts Michael weaves together his musical influences into a tapestry rich with expression, virtuosity, humor and meaning. As one writer put it, Michael Manring can do more with a bass than even the most creative individual could imagine (L. Pierce Carson, Napa Valley Register). His newest release Soliloquy, performed entirely solo without overdubs, is the best recorded example yet of that depth and diversity. Using a variety of bass guitars and the far-reaching, innovative approaches he is renowned for, with Enhanced CD content including Michael’s extensive 24-page liner notes detailing the composing and recording process, photos and live performance videos, Soliloquy takes the listener on a unique musical journey. We hope you'll follow the advice of France's Musicien magazine: Do not miss your next opportunity to discover the bassist with the most fresh and inventive playing today."